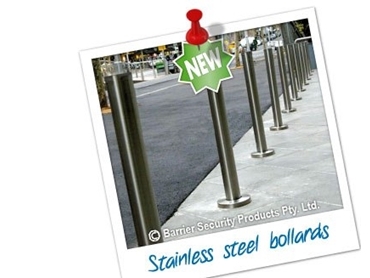 Barrier Security Products has a range of stainless steel bollards ideal for shopping centres, sporting grounds, council chambers or wherever bollards of high standard and appearance is required. Below ground for installation into a concrete footing. Core drilled for installation into a core drilled hole using epoxy adhesive. Surface mount for bolted installations. Manufactured from 304 grade stainless steel as standard, the stainless steel bollards are all finished with No. 4 mechanical linish before being electro-polished, which is recommended for installation near coastal areas to minimise the risk of tea staining and to ensure they maintain a high quality appearance over many years.